What is the Solemn Compact? "It would give me great Pleasure to ride this Eastern Circuit with you, and prate before you at the Bar, as I used to do. But I am destined to another Fate, to Drudgery of the most wasting, exhausting, consuming Kind, that I ever went through in my whole Life. Objects of the most Stupendous Magnitude, Measures in which the Lives and Liberties of Millions, born and unborn are most essentially interested, are now before Us. We are in the very midst of a Revolution, the most compleat, unexpected, and remarkable of any in the History of Nations. A few Matters must be dispatched before I can return. Every Colony must be induced to institute a perfect Government. All the Colonies must confederate together, in some Solemn Compact. The Colonies must be declared free and independent states, and Embassadors, must be Sent abroad to foreign Courts, to solicit their Acknowledgment of Us, as Sovereign States, and to form with them, at least with some of them commercial Treaties of Friendship and Alliance. When these Things shall be once well finished, or in a Way of being so, I shall think that I have answered the End of my Creation, and sing with Pleasure my Nunc Dimittes, or if it should be the Will of Heaven that I should live a little longer, return to my Farm and Family, ride Circuits, plead Law, or judge Causes, just as you please." Adams wrote this letter from the city of Philadelphia, Pennsylvania. He was attending the Second Continental Congress as the lead delegate of the Massachusetts Colony. Deeply intertwined with the rapidly developing task of declaring the American Colonies independent from Great Britain, Adams sat at the very center of our blossoming democracy. Just two days prior to writing this letter, Adams had seconded the Lee Resolution, of which he also wrote the preamble to the document. The Lee Resolution is better known as the Resolution for Independence, which would be passed by the Second Continental Congress on July 2, 1776. Two days later on July 4, the Declaration of Independence would announce this resolution to the world over. America was a free nation. Great Britain was no longer in charge. Most importantly, John Adams was there to make it all happen. Considered by his fellow Founding Fathers to be the foremost patriot of the era, Adams pushed long and hard to secede from Great Britain. Many of the other delegates would detail Adams' efforts in their personal journals and letters, pinpointing him as the most vocal man leading the charge for independence. His work often came at the expense of his own family; much of this hardship is revealed in the countless letters exchanged between John and his wife Abigail. It was clear to Adams that the Thirteen Colonies were bound to one another by fate. The bond shared by the colonies was practically graced by a divine touch in his estimation, and further strengthened by their mutual resolve for independence and liberty. The only way forward was together, in his sound judgment. The Solemn Compact, as he describes in the letter to Cushing, would be the means to achieving a perfect government. Adams could see the future budding before him – an unbreakable union formed by the colonies; each colony distinct but also equal in prestige. 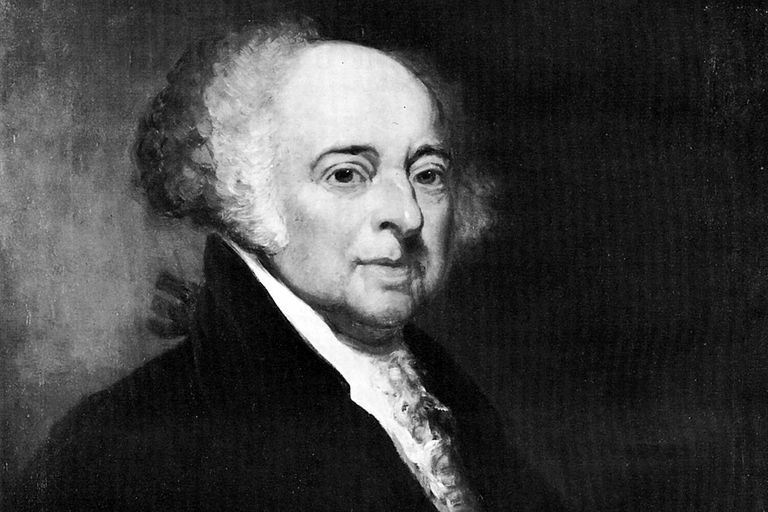 Adams didn’t know it at the time, but his desire to form a solemn compact would eventually lead to the United States Constitution. Adams would later reuse the term solemn compact while writing the Constitution for the Commonwealth of Massachusetts in 1779, which was later ratified in 1780. Unsurprisingly, the Massachusetts Constitution served as the model for the US Constitution, which was ratified a few years later in 1787. Notably, the Massachusetts Constitution is the oldest functioning written constitution in continuous effect in the entire world. Without question, Adams is responsible for it all. When John Adams spoke of the Solemn Compact, I believe he fully anticipated the greatest nation to ever exist upon this earth. His visionary planning was unequivocally original in both depth and clairvoyance. I take the Solemn Compact very seriously. It’s a triumphant manifestation of our dear country long before it ever came to exist. It also proves that the bond we share as Americans is irrefutably extraordinary. The aim of this website is simple -- to promote the common good of the United States, to relate the history of our nation, and to debate the way ahead. I hope we can achieve this mission, for Mr. Adams' sake. We owe that much to him, at least.